I found this picture in one of mom’s albums with most of the pictures having come unglued. 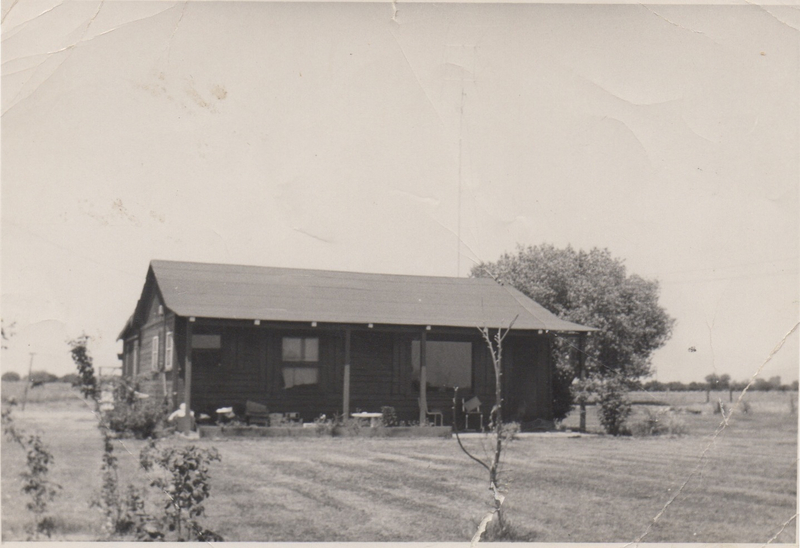 It’s almost shocking to see what the place looked like back when my folks purchased it. At the time as a five year old, it didn’t feel as small, plain and needy-looking as this photo shows. The ranch was charming indeed. Enjoyed you Maple Ave. blog! ( Ahh…to buy 5 acres with a house on it now!) And do you remember the interior Stella? Pics? ?